HOUSTON—Shen Yun Performing Arts has depth and breadth, according to Dr. Jeffrey Sutton, physician, scientist, and director of a major research institute. “I think the extent of the culture, and the way in which it is expressed, was just spectacular,” Dr. Sutton said about Shen Yun. All of these aspects together make Shen Yun an impressive performance, according to Dr. Sutton. He is a medical doctor and also holds a Ph.D. in theoretical physics. Throughout his impressive career, he has been involved in research, education, clinical care, and administration in top institutes including Harvard and MIT. He is currently the director of the National Space Biomedical Research Institute, a consortium of academic institutions established by NASA to research health issues related to space missions. Dr. Sutton watched Shen Yun on its last day in Houston on Jan. 7 at Jones Hall for the Performing Arts. Based in New York, Shen Yun was formed by a group of classical Chinese artists who aim to revive China’s divinely inspired culture. “For 5,000 years divine culture flourished in the land of China. 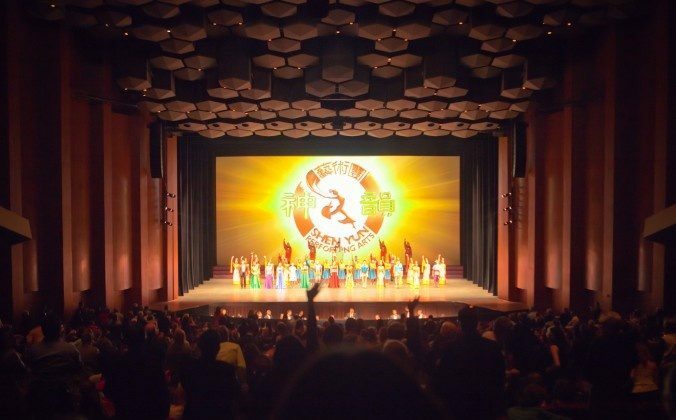 Humanity’s treasure was nearly lost, but through breathtaking music and dance, Shen Yun is bringing back this glorious culture,” according to the Shen Yun website. Dr. Sutton said that Shen Yun’s performance is done in such a way that audience members can easily connect to the show. “One can relate through music and through dance, and through the visual expression in the performance,” he said. Shen Yun, expresses beauty, which is “the positive aspect of human existence,” he added. The fact that it changes and it is fresh every year, is even better. What makes the company even more impressive is that it has a new line up of all new programs each year.